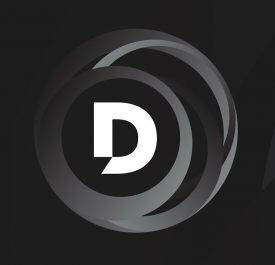 TVNZ’s third free-to-air channel, Duke, is expected to go HD “within a matter of weeks”, the broadcaster has confirmed. According to Screenscribe reader and contributor Leo, Duke is promoting the switchover as happening this month. That would mean the channel would be HD ready for TVNZ’s marathon Commonwealth Games coverage, which will air on TVNZ 1 and Duke from April 4-15. There will also be live streaming and TVNZ is setting up a dedicated TVNZ Games Extra channel. The spokesperson wouldn’t confirm if this would be in HD, too. But it’s highly likely given, as Leo also reports, TVNZ is testing an HD service on Freeview channel 600 (although the spokesperson says TVNZ 1 uses this for “technical testing … it’s not earmarked for a new channel”). Duke’s upgrade to 1080i is great news. The channel’s patchwork of entertainment, reality and sport still feels like a work in progress but it’s an important part of TVNZ’s reach and is a useful platform for free-to-air sport, be it American football, AFL, NBA or Formula E racing. It’s just a pity that Sky’s acquired the rights to Duke’s DC series and is soon to screen them in SD on The Box when fans could have seen them in HD on Duke. But it’s good news for fans of TVNZ 2 series that are being relegated to Duke, like The Exorcist, Family Guy and The Mick (season two of which will air 9.55 Thursdays from next week). 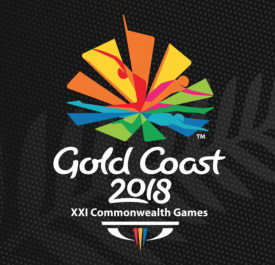 TVNZ is betting heavily on the XXI Commonwealth Games given the Gold Coast location means the time difference will be only a couple of hours. TVNZ 1 will provide predominantly live daily coverage from 9am-6pm and 7.30pm-1am while Duke will be a 24-hour Games channel, with a mix of live/delayed coverage and overnight repeats. TVNZ Games Extra will screen live/delayed coverage from 7am-1am, and there will also be live/delayed coverage on-demand. “Our goal is to bring the nation every moment of the XXI Commonwealth Games in 2018 on the Gold Coast,” TVNZ promises advertisers. It points out 1.3 million viewers watched the America’s Cup live on TVNZ 1 in 2013 compared to the 400,000 who tuned into the 2017 coverage on Sky and Prime. Duke’s Rio Paralympics coverage doubled Duke’s viewership while more than 400,000 viewed the Superbowl live on TVNZ 1 and Duke. Is it real 1920 by 1080i or fake like Sky’s 1440 1080i? Still trying to nail down those details from TVNZ but will take a few days with key personnel still on holiday. But I understand it will be true 1080i. Cheers Philip for the write up and for following up on this. Hopefully Duke keeps its word especially with its promos stating HD in mid-January.